Jurassic World Tote Bag with blue handles. 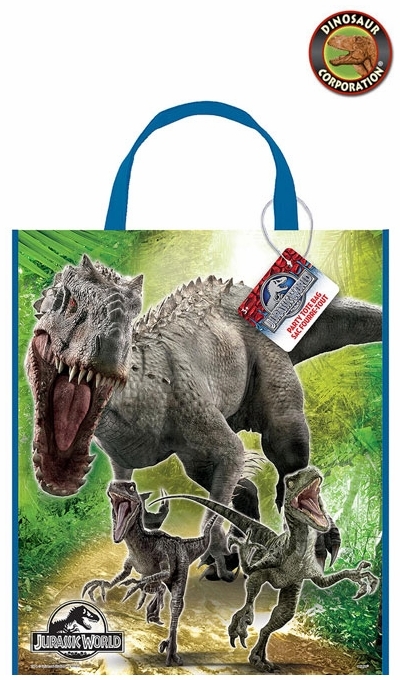 This Jurassic World bag features some cruel dinosaurs Indominus REX and Velociraptors. Made of heavyweights plastic it can carry books, toys, T-shirts and dinosaur snacks. Have a Jurassic World Tote Bag for each of your prehistoric party guests, and fill them with lots of our Dinosaur Party Favors!